Would you say the inclination, and quality of decision-making is closely linked to motivation? 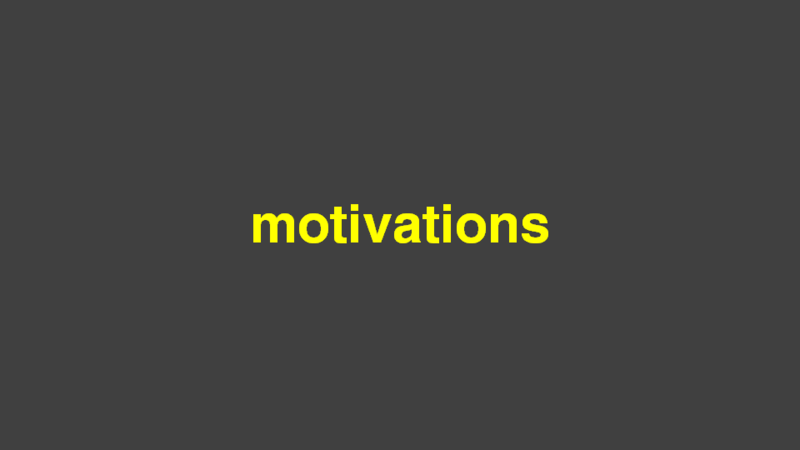 Would you also say motivation is closely linked to rewards – the conventional reward methodology typically being the better you do, the higher the reward? 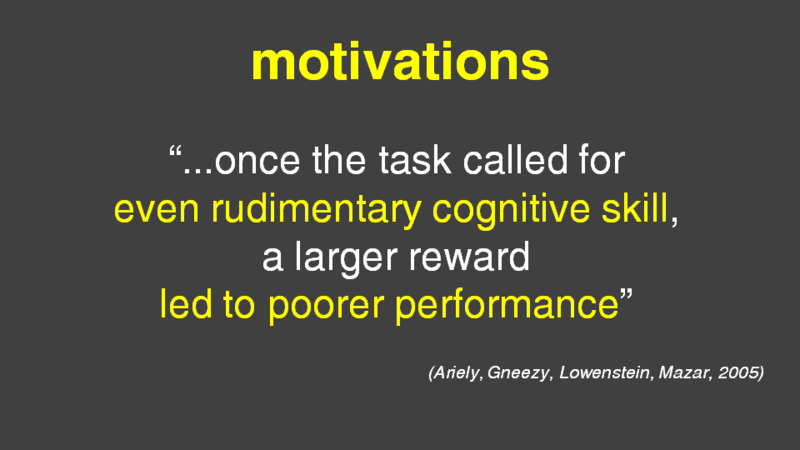 But what if the ‘do this, get that’ reward/motivation connection is actually wrong, or at least out of step with what really motivates people? It is clearly understood that people who are well, and appropriately motivated, make better decisions. Well, surprise, surprise, there has been a vast amount of research carried out over the last 40 years that clearly shows how the perceived ‘normal’ way businesses try to motivate their people – “do this, get that, do better, get more” – is not as effective as we think it is. 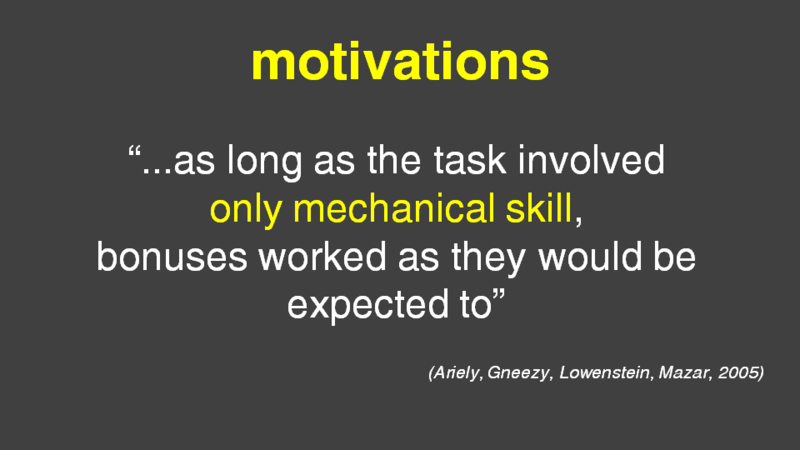 If ever you have heard me speak at business events, you might have heard me point out that what science knows, and what business does, are not the same thing…and the rewards-motivation-decision-making connection definitely falls in to that. In simple terms, groups were given the same simple task, with different levels of rewards (low, medium, high) for completing it in or better than a certain time. Obviously, the expectation is that the higher the reward, the better/faster the group will perform. For simple, mechanical tasks, rewards acted as they would be expected to – the higher the reward, the better the performance. But, as this makes no sense, what are the views of world-leading business schools? Well, 100 years ago, most jobs required predominantly mechanical skills. 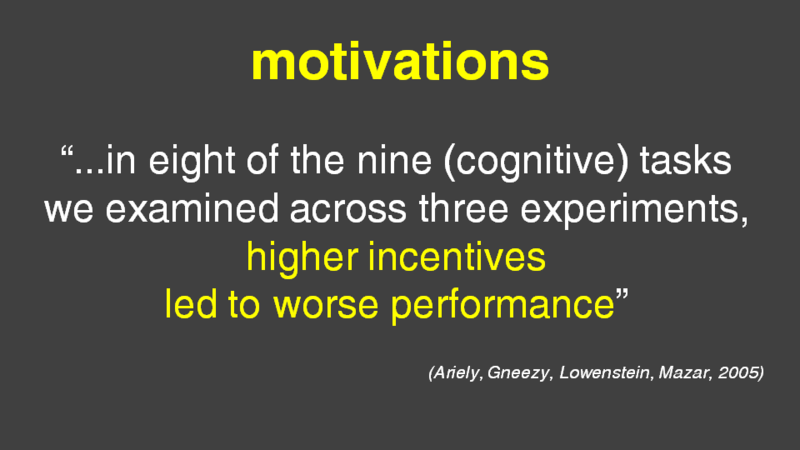 But in the 21st century, most jobs require at least some level of cognitive skills, with the impact on how incentives work, how motivated we are, and how well we end up making decisions (as described above). 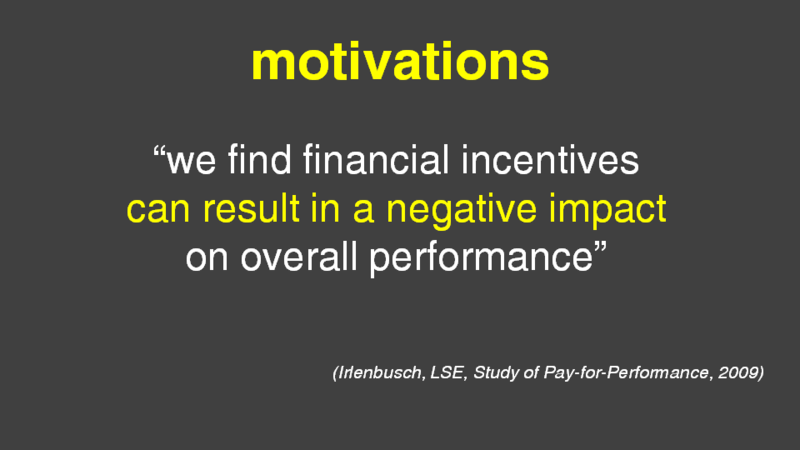 So, we need to look at incentives and motivation in a different way, especially if we are to support decision-making of the highest quality. These are self-explanatory, and, of course, can be applied in endless ways in the differing business environments. If you are interested in giving them a try in your business, please get in touch.